Doug Lett had a dream, of one day having his own RV Repair Shop. One afternoon he was working on a trailer belonging to Ruth Underwood of Georgetown, Texas. Doug told Mrs. Underwood of his "plan", but that he really did not have the funds to open up an RV repair shop. Ruth asked Doug how much cash he would need to get the shop opened. Doug replied, "$2,000.00". When Doug finished working on Mrs. Underwood's trailer, this kind and generous lady LOANED Doug the $2,000.00 he needed to fulfill his dream. Within two weeks, Doug had paid back the $2,000.00 to Mrs. Underwood. We can not express how grateful we are to her. If it had not been for Mrs. Underwood, Hillcountry RV would not have had an existance. because of her generosity and belief in Doug Lett, to this day, Mrs. Underwood remains a good friend. This is how the story began. 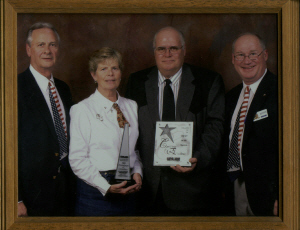 Douglas M. Lett began Hillcountry RV, Inc. by opening a small repair shop just south of Marble Falls, Texas on February 28th, 1989. As clientele began to grow, so did the business. At first Doug did only repairs, then he added a small parts inventory. In April of 1990, his wife, Becky, joined him in the every day operation of the business. Next, they began adding on a few consignment units to sell. By June of 1995, the business had grown. Doug and Becky needed to enlarge their facility. They did this by adding on 3 drive through bays, an office, and a parts store, expanding their operation by 7500 square feet. They hired on a few more technicians in the shop. The new giant parts store then required a full time parts person. Doug saw the need to sell new travel trailers and fifth wheels. A new line of pop ups, travel trailers, and fifth wheels were added. As that aspect of the business grew, there became a need to add on more personnel, both in the shop and in the sales department. Today, Hillcountry RV, Inc. is looking into the future and sees great new things to come. Please come and see us up on the hill, 2 miles south of Marble Falls on Highway 281 for all your RV needs.